Welcome to the Magic Ladder demonstration site. Click on the tabs above to learn more, or the green button above to start using. What's At Stake - How Do YOU Read? The greatest challenge of beginning reading is learning the sounds of English and the ways the Alphabet represents them. What makes this so challenging? English words (even and especially the words of PreK-1 children) are spelled in numerous, inconsistent, unnaturally complex, and artificially confusing ways. What are the best words to use with students for learning those ways? THEIR words! 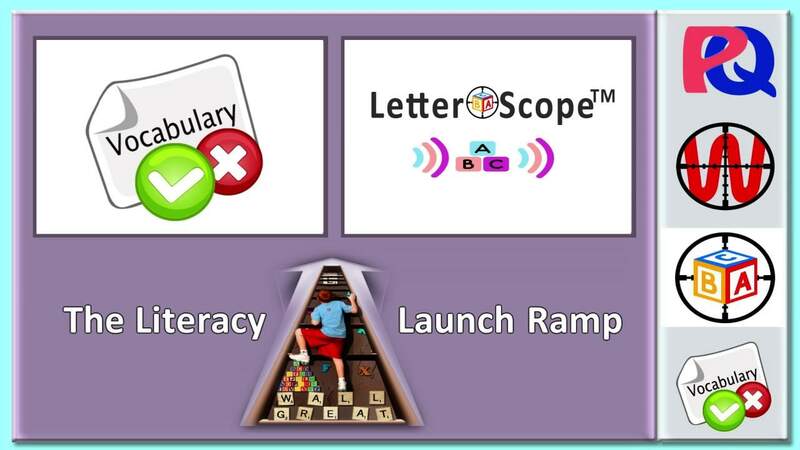 The Literacy Launch Ramp is an entirely new, brain efficient way for children to learn the fundamental relationships between letters and sounds. It makes the challenge of learning those relationships coherent, playful, multisensory, and it uses the students' own words as teaching examples. 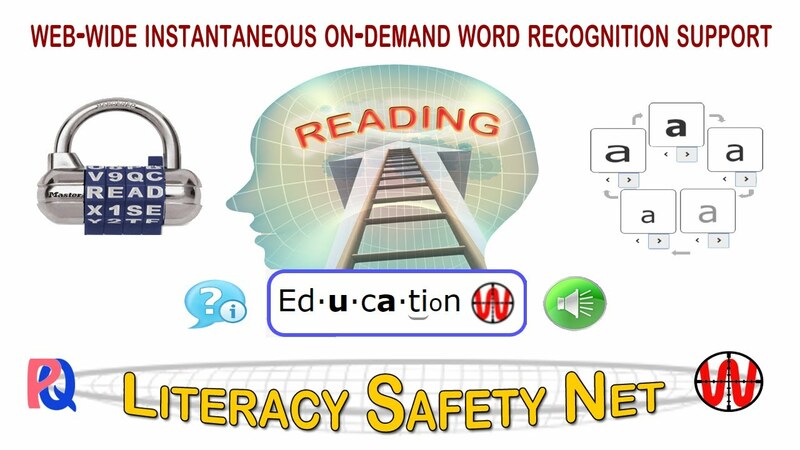 The most common bottleneck to improved reading, for the vast majority of struggling readers, is slow and labored word recognition. * If we could freeze the moment struggling readers encounter an unfamiliar word and pull up alongside their minds to experience the confusion they are experiencing, what steps would we suggest they take in order to 'work out' recognizing the word? 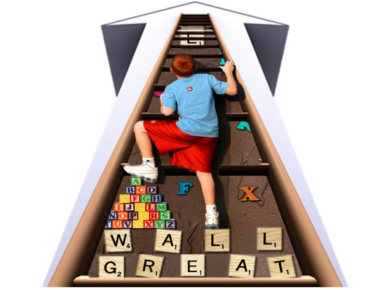 Addressing that question (and many more), the Literacy Safety Net coaches and supports students learning to take those steps. 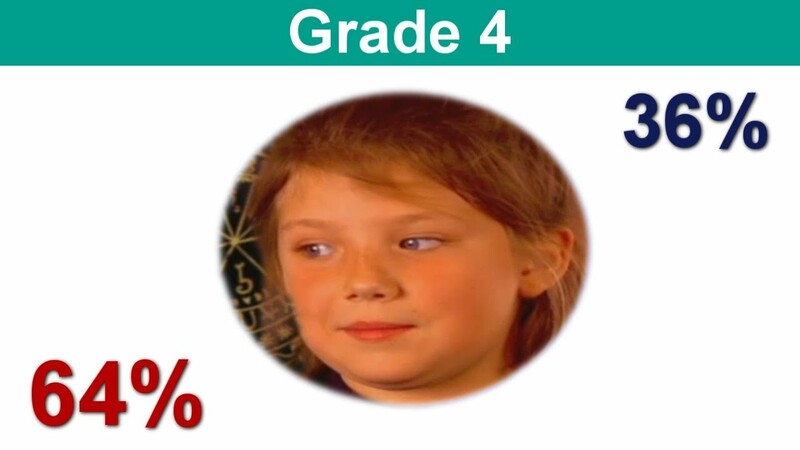 It provides students with a safe, consistent, multisensory, personally adaptive, and instantly accessible help system for working out unfamiliar words. *The next most common bottleneck is the shame they feel.